Downer was established over a century ago as a trusted engineering services company. Today, we are the leading provider of integrated services in Australia and New Zealand. Through trusted relationships and world-leading insights we work closely with our customers to design, build and sustain assets, infrastructure and facilities. At Downer, customer relationships are at the heart of everything we do. We also recognise that successful relationships are built on the back of committed and driven employees like you. For this reason, we are passionate about building an organisation that attracts and encourages employees to deliver their very best. Creating a thriving culture that promotes Zero Harm, excellence, collaboration, integrity and courage is core to our business and we reward our employees for demonstrating these values by supporting them in both professional and personal endeavours. Whatever stage you’re at within your career, whether you’re an executive, graduate, apprentice or a new parent returning to the workforce, we have opportunities to suit you. We offer a vast range of roles and role types dependent on your skills and experience, across multiple disciplines, locations and sectors. Visit our current opportunities to search and apply, or sign up for our job alerts. Our Gender Diversity objectives are reviewed and measured by our Board of Directors year on year. These measurable objectives are reported to the Workplace Gender Equality Agency (WGEA) and the Australian Stock Exchange. To us, a diverse workforce fuels innovation and enables more informed decision-making. We view diversity and inclusion as a competitive advantage and commercial imperative. We are genuinely committed to a diverse workforce and we embrace and celebrate the differences and strengths Diversity can bring to our organisation. 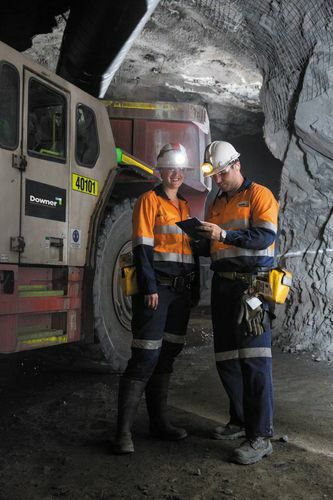 Women constitute approximately 35% of Downer’s workforce. Increase the representation of Aboriginal and Torres Strait Islander employees to 3%. As part of our Diversity and Inclusiveness activities we highlight and celebrate key diversity events including International Women’s Day, National Reconciliation Week, NAIDOC Week and many others. In partnership with Jawun, a not-for-profit organisation, we offer six-week secondments at various Indigenous organisations for eligible employees. The objective is to use corporate resources for Indigenous development and leverage the skills of corporate Australia to develop the effectiveness and capacity of host organisations. 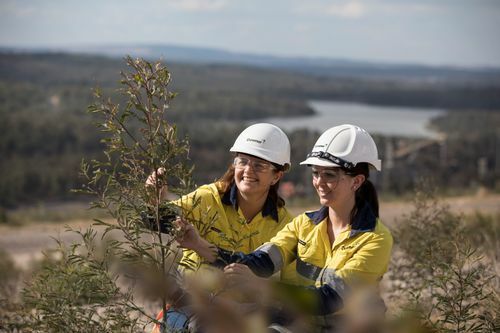 While this gives our employees exciting opportunities to make a contribution to our Indigenous community, it also provides them with a rich personal development experience and networking opportunities with secondees from other organisations. Since our partnership began Downer has provided 37 talented employees and 222 weeks of secondment. It has also been supported at the highest levels, with 21 of our executives visiting these communities and experiencing first-hand the difference this program has made to these communities. We have established Women’s Networks in most states of our operations which encourage employees (women and men) to connect and share experiences and successes. We are proud to be a corporate member of the National Association of Women in Construction (NAWIC) and many of our female employees are individual members. 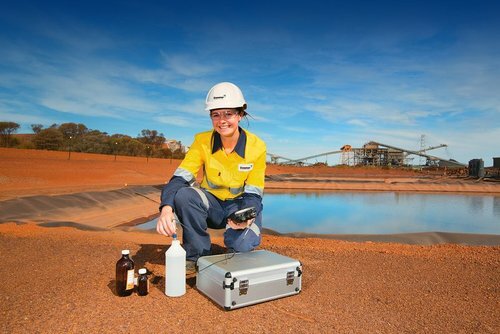 We are also members of Women in Mining and Resources of Queensland (WIMARQ) and Women in Mining Western Australia (WIMWA). As part of our Australian Minerals and Metals Association (AMMA) membership we participate in many Australian women in Resources Australia (AWRA) corporate events and have many of our female employees are individual members. All four associations encourage and support women in construction, mining and related affiliate industries. They also provide forums for members to meet and exchange information, ideas and solutions to problems; and offers individual members an opportunity to expand personal and business networks, maintain awareness of industry developments, improve skills and knowledge and make a contribution to other women working in the construction and mining industries. We’re also proud to be a corporate member of the Diversity Council Australia (DCA). As a member of DCA, our employees can sign up as members. By being a member, you have access to a knowledge bank of diversity tools, research and thought leadership; free or discounted services that enhance your diversity capability and external profile; and industry specific networks and benchmarking data. We aim to nurture the personal and professional development of our people. Through structured processes, we empower our people to navigate their Downer journeys and meet their personal career goals. We recognise the importance of investing in the development of our talent and continuously explore opportunities and challenges to support our people. Downer offers a variety of development options including study assistance, training programs, mentoring, social engagements and secondment opportunities. Learning@Downer offers training programs that are custom-built for our employees to grow by giving them the tools and knowledge to better perform their jobs. The portal introduces many courses on project management, leadership, zero harm and other critical areas. These are tailor-made training programs especially for Downer businesses and are delivered in partnership with leading service providers. We value the skills and experience our employees bring to their roles and understand that while formal learning has its place, the informal transfer of skills and learning through a mentoring program is a more effective way of passing on the right skills and behaviours to others. 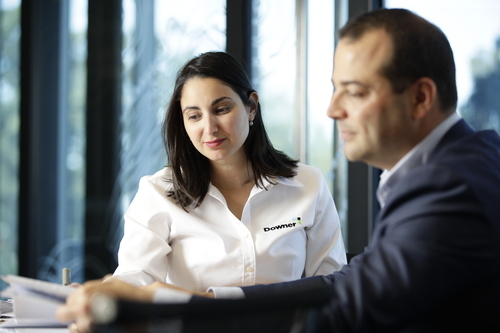 The Downer Leadership Mentoring Program supports leadership development and learning across the business for high potential individuals, and at the same time increases Downer’s bench strength to meet current and future business needs. Our graduate program reiterates our commitment to a diverse workforce with graduates coming from a variety of disciplines. The rigorous recruitment process ensures we find the best talent across the country and places remain open until we achieve this goal. Downer has a comprehensive apprenticeship program and currently manages more than 250 apprentices. We support apprentices by providing a structured training plan to help balance work and study simultaneously. Through performance reviews and mentoring, our apprentices receive support throughout the duration of their apprenticeship. We aim to provide them with an invaluable stepping stone into the industry and an opportunity to learn in a technologically advanced environment. Study leave and financial support are available for eligible employees who wish to complete higher education for their professional development. Downer may, for a course approved study, grant the eligible employee paid time off to attend lectures and examinations, and will on the production of receipts and successful completion of the course of study, refund to the employee a nominated amount for course fees and text books. Zero Harm is embedded in our culture and is fundamental to our future success. We believe that physical and mental wellbeing of our employees is instrumental in our journey towards excellence. We therefore try to reinforce this philosophy through various employee support programs and offerings to assist you and your family’s health lifestyle. We offer an Employee Assistance Program. With EAP, employees have telephone access to trained counsellors 24 hours a day, 7 days a week as well as face to face access if required. The services have been paid for by Downer and are available to employees and their family members in times of personal need at no cost. Our employees have access to discounted membership to provide you and your family with a wide range of affordable covers to suit different lifestyles and budgets. You can also take advantage of the negotiated discounted gym membership rates by signing up with one of our partner fitness service providers. At Downer, we believe that a healthy mind resides in a healthy body. Our work sites organise various local health programs/camps to facilitate flu vaccinations, mental health checks, skin cancer checks etc. High employee participation levels define the success of such events. Downer employees can contribute to their superannuation funds, take out a novated lease or access corporate banking programs while leaving more money in your back pockets for things you really love to do. We offer a range of benefits to support your financial needs and to recognise your commitment to your work. As an employee of Downer, there are a range of leave entitlements available to you. Our leave entitlements include annual, personal/carers and compassionate leave. Parental leave – we offer eligible employees up to 12 weeks of remuneration, net of the Government Paid Parental Leave Scheme. Study leave – there is also an opportunity to apply for limited period of study leave. We like to reward individual teams and employees for their outstanding achievements that help build our brand. These awards may be monetary or non-monetary depending on your work site, but we love to convey that we value your efforts and would like to thank you for our success. Service tenure is valued at Downer through a variety of employee service recognition programs. We understand that our employees are also everyday consumers. By leveraging our company size, we can provide access to a variety of benefits at incredible discounts to support you and your family’s lifestyle needs. As a Downer employee, you have access to great discounts on holidays, accommodation and flight reservations when you book with our partners. You are entitled to special deals that the buying power of a large company like Downer brings. Our employees can enjoy premium memberships and discounts on car rentals and equipment hire for personal use, such as concrete and masonry equipment, light to medium earthmoving equipment etc. We know that online shopping is a necessity for some, and a passion for others. Downer can introduce you and your family to great deals and cash back offers from a range of online shopping portals. You can save heaps on household appliances, computers and other technology products through our partner vendors. As an employee of a valued partner of some of the biggest car companies in Australia, you have access to exclusive discounts and offers on a range of new and used vehicles.